Perkele´s Blog: Little heads up, about the upcoming leuku review. Little heads up, about the upcoming leuku review. 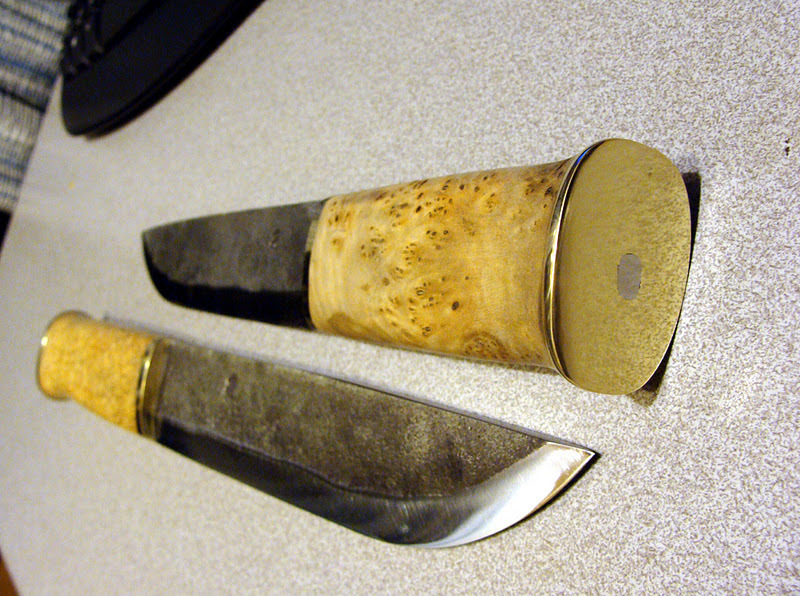 So, i mentioned a few days ago that i am trying to do this post, about the ever fascinating topic, meaning leuku knives. First i was trying to gather up some, do a bit of testing, take pics and such, to be posted just after christmas, but i have to stretch that a few weeks. So i´ll be posting it at january, as soon as the last of the leuku´s arrive to my possession. So far i think i have even succeeded with this, as it sure looks like i´ll be able to show you some 5 leuku´s, atleast, if not more. 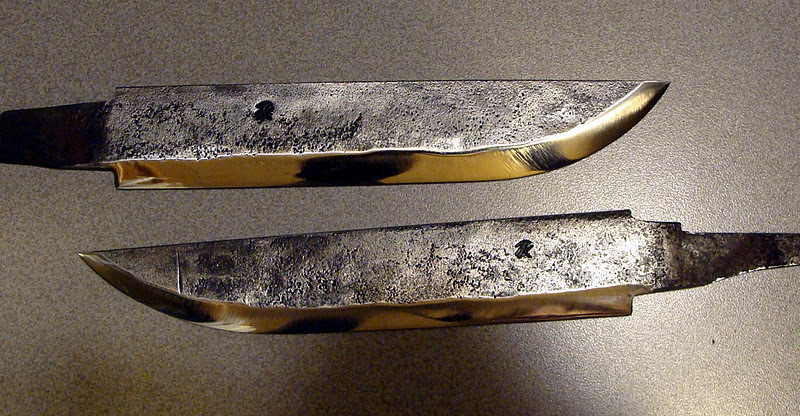 All of them being made here in finland, from forged carbon steel, with quite traditional looks and all. I have asked from few bigger well know companies as well, but sadly without any kind of reply back. But hey, i am very happy to show you these 5 spanking new knives, thats a good amount indeed ! Heres already two teaser pictures, showing you one of the leukus, by T.Kotavuopio. If i get more project pics, ill add em here ! So far i can thank following makers for their friendly attitude towards this topic that i started to work on, after receiving a good few suggestions to do more stuff about leukus, with pricetags that just about anyone can afford. P. Hurttila / Hurttilan Paja.